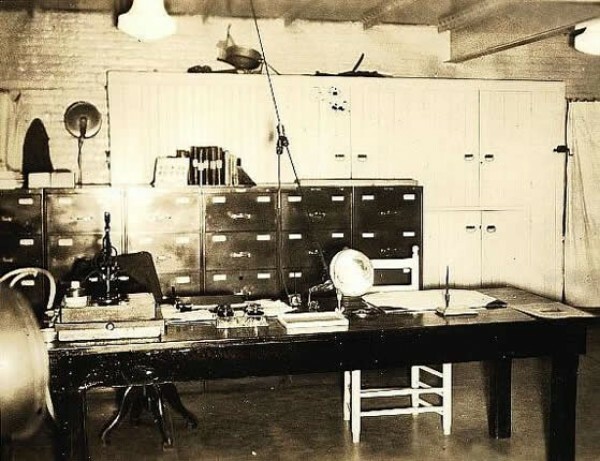 Our department has made many changes over the years. Our needs have changed along with the times, spurring growth and improvement. The following words and pictures describe the evolution of our department from the beginning in 1850. Also, we have discovered other interesting historical items which we put into a photo album for you to see and enjoy. There are documents and pictures from the 1800’s as well as excerpts from a biography produced in 1937. Click on the cover of the biography below to take a look and see where we’ve been. This is the outer cover of the 1937 document. 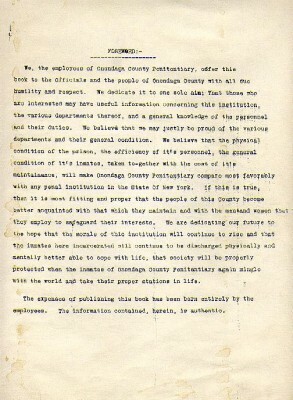 The foreword statement of the 1937 document. This is the inset photo from the cover page of the 1937 document. The outward appearance of the old facility as you face the south. 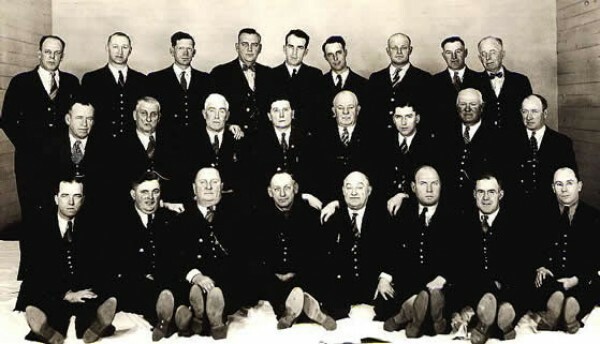 This is the male security staff in 1937. 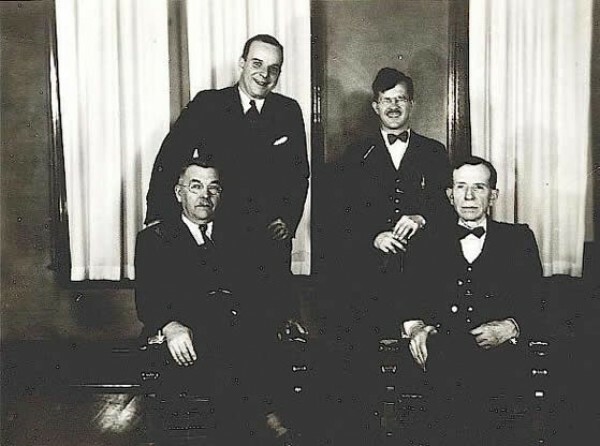 The administrative staff in 1937. 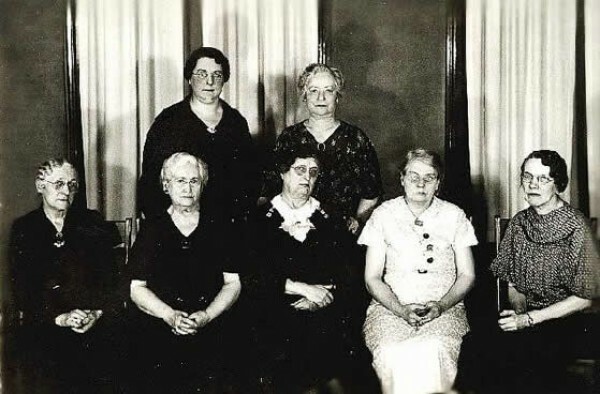 This is the female security staff in 1937. 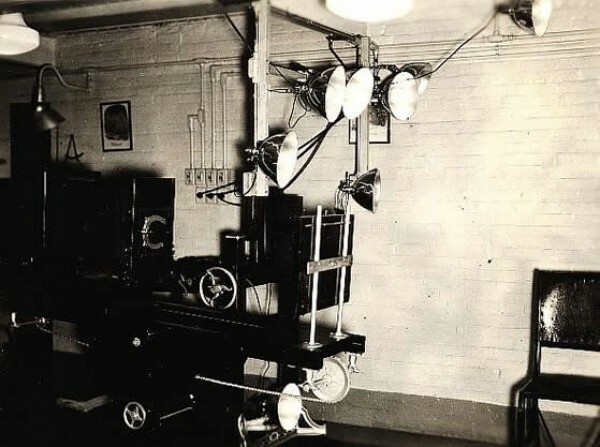 The "Guard Room". This was the office entrance to the facility. This was the receiving desk located in the booking office. This is the lower corridor in the basement of the facility. 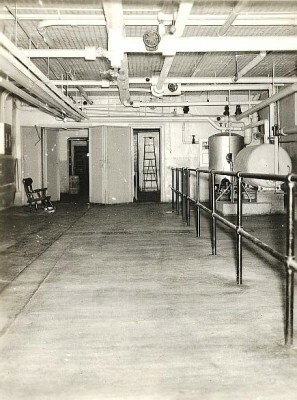 This view is facing toward the kitchen area where meals were prepared and then sent to the dining hall or "mess hall" located on the next floor via a hand operated elevator. 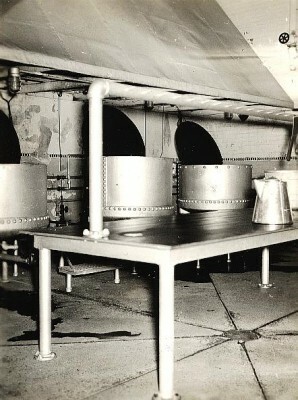 Three steam cookers used in the preparation of inmate meals. 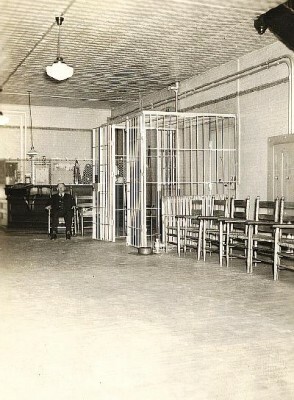 The jail section of the facility. This was located in the east wing. This view is of the west wing of the facility facing east. 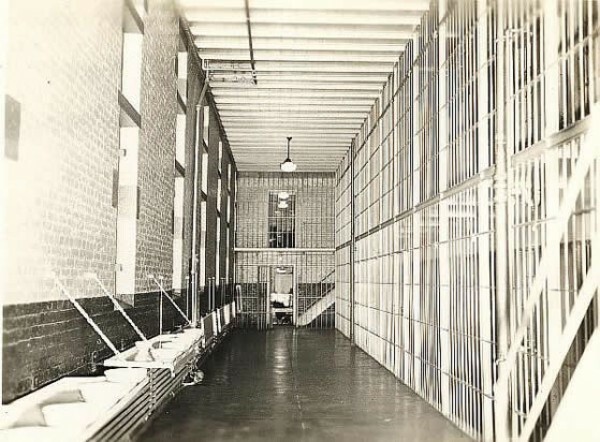 This view is of what was called the "Boys Wing". You are facing east. The front of the facility is on the right. This is the west wing of the facility. 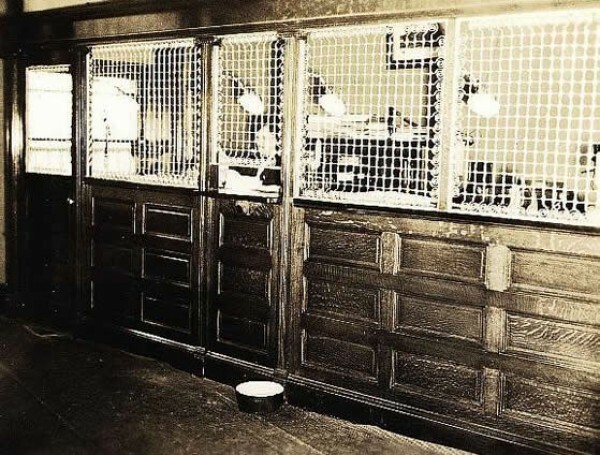 This photo is the "ID Bureau", referred to today as the booking office. This is the table that new inmates were examined on intake to the facility. This was the camera used by the "ID Bureau" for intake photos. 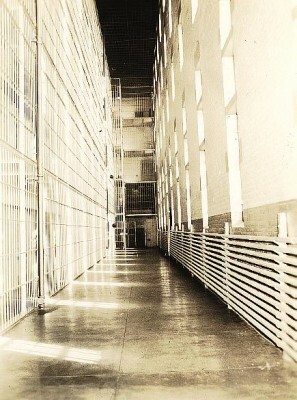 This a view of the women's wing located just above the boy's wing on the east end of the facility. 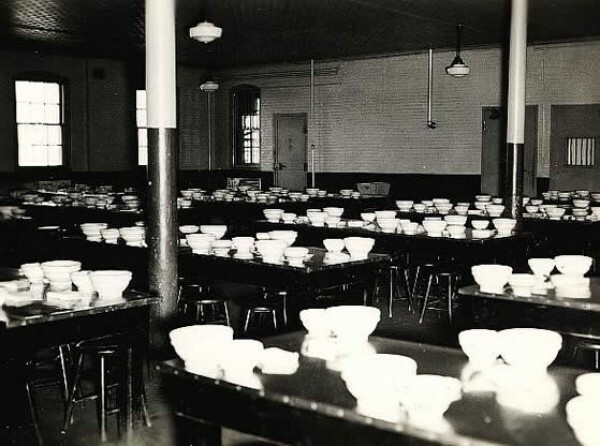 This is the inmate dining hall or "Mess Hall" located in the south center part of the facility. The view is facing northwest toward the west wing. 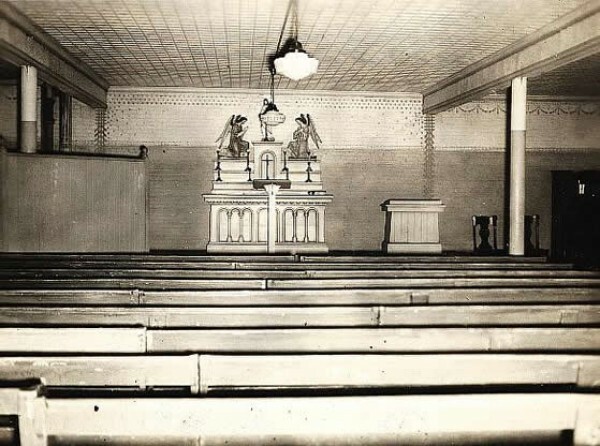 This is the chapel of the facility. This is a view of the tailor shop. 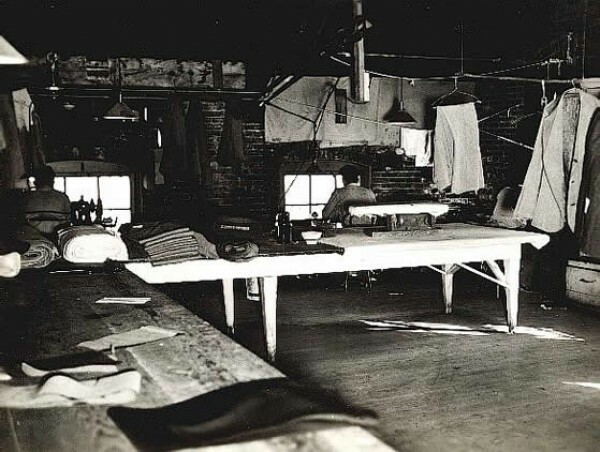 As the facility was self-sufficient in those days, inmates themselves made and repaired inmate clothing eliminating extra expense to the community. The steam engine and generator used by the facility. 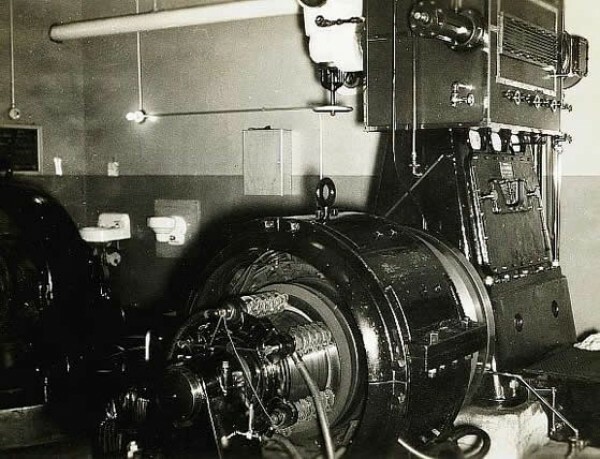 In the event of power failure, this generator provided emergency power. A view of the farm that provided fresh vegetables to the facility as well as other county facilities. Some of these buildings are still in use today. 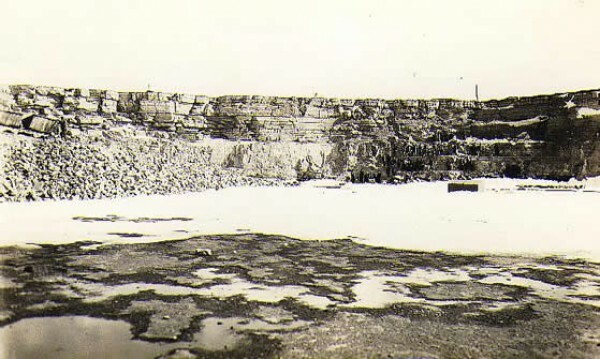 This is the stone quarry that the original limestone was cut by inmates to build the facility at the turn of the century. 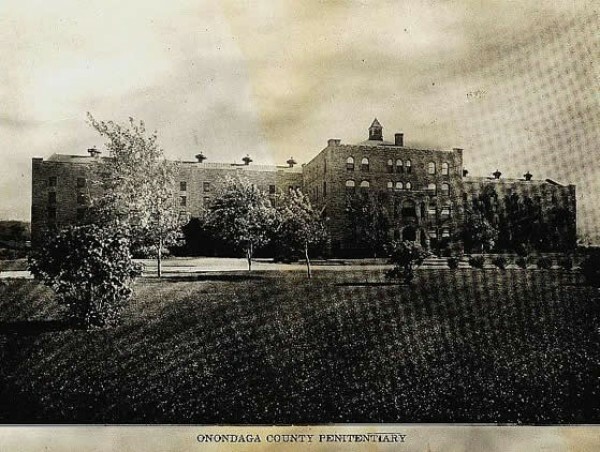 Previous to 1849, jail prisoners of Onondaga County were confined in cells connected with the County Courthouse. 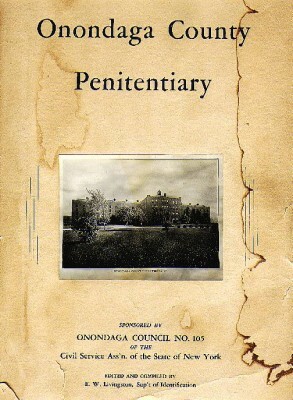 In 1850, this became inadequate and the first Onondaga County Penitentiary was built in the town of Salina. It contained 96 cells and cost $20,000. 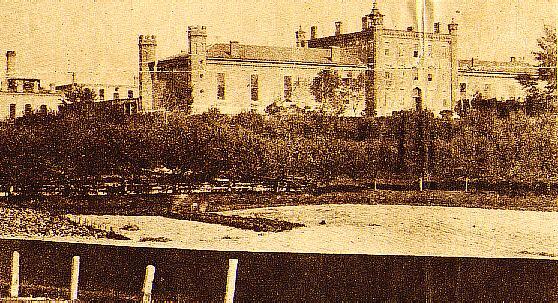 In 1869, a 64 cell addition was built and in 1875, the penitentiary was enlarged again. On February 1, 1899 the Board of Supervisors proposed selling the penitentiary for $70,000 and erecting a new one on a different site. 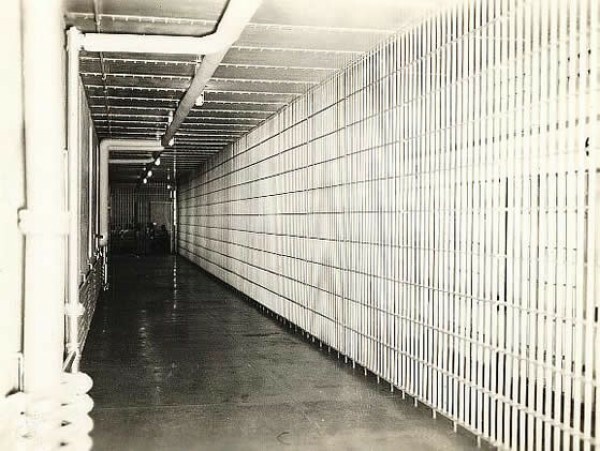 This was proposed because the old penitentiary had an inadequate number of cells and lacked the ability to segregate inmates. At this time, the average inmate population was 516 – with only 228 cells. 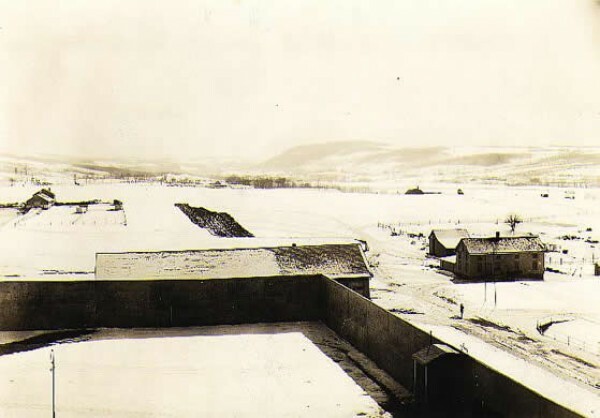 On June 9, 1899 a resolution was passed by the Board of Supervisors that the County purchase the Puffet farm in Jamesville, NY for a new penitentiary. The work on the main building began in the fall of 1899, and lasted through late summer of 1901 at a cost $211,000. 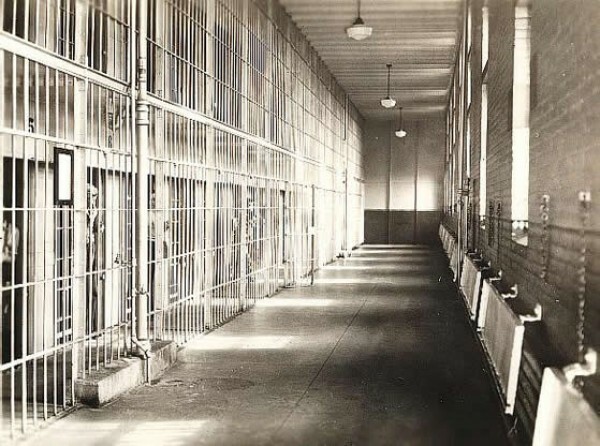 On October 1, 1901, the penitentiary was completed and the transfer of inmates began at once. This building was used from 1901 to 1983, and demolished in 1999. 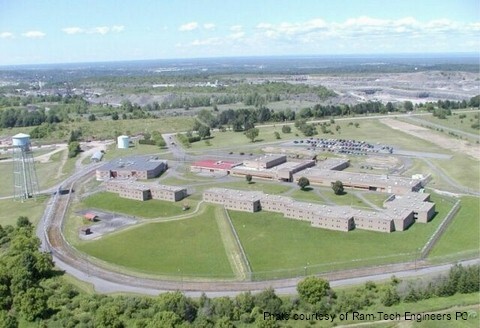 When this building became inadequate, the county elected to build a new Onondaga County Correction Facility on the site adjacent to the old facility. This facility was completed in June of 1983 with 192 rooms and a cost of $9.8 million. Because of a federal court order from Judge Howard Munson for the downtown Public Safety Building overcrowding, an annex was built adding 114 rooms and cost $3.3 million. 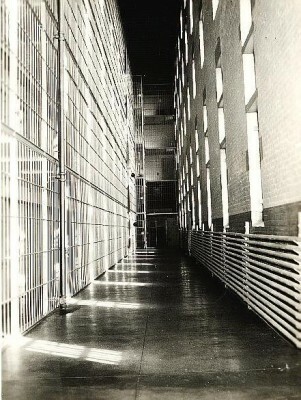 This was opened in April 1989 and occupied by both sentenced and unsentenced inmates. This building has since been demolished. In early 1993, a dormitory style housing unit was added to house 72 inmates. This is a community style living unit. Sleeping quarters (called cubicles) are arranged together in one area of the housing unit or around a common day room area. Inmates carry out their daily activities in the day room area and have community toilet and shower facilities. Our newest building, a 180-bed facility opened in December 1999 and was constructed at a cost of $4.6 million. There are three housing units within this facility that hold 60 inmates in each unit. Two of the housing units are dormitory style and and the third has thirty double occupancy cells. Three existing housing units were renovated in the spring of 2000. The renovations cost approximately $1.6 million. With this renovation and current variances, our maximum capacity limit is 515 inmates. The average daily population in the year 2002 was 371 inmates.